The best part of winter fly fishing in my area of western NC is the crowds are gone for the most part! The fish activity can be among the most active of the year depending on the cold weather. This past month in January we had over half of the month with temps reaching the mid 60’s. The internet is full of information on winter fly patterns for every resource around the globe. 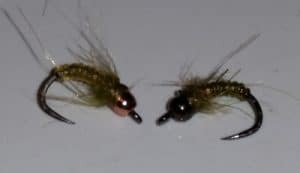 In this part of the country that list has always included old standby patterns such as the zebra midge, egg patterns, blue wing olive nymphs, black stones, and the list gets lengthy in a hurry. The internet is full of fly patterns and gear for all of the various seas ons. 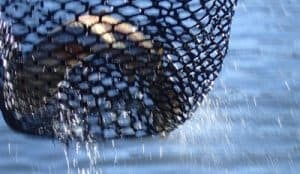 The reason for this is actually quite simple overall in that some of the fly fishing studies reveal that 500,000 have fished for many years and have figured out many of the keys to consistent success. At the same time, 29,500,000 get introduced to the sport every year and then move on to other things. This is the crowd looking for the experience but not really making an effort to improve. It is also the “retail machine” for the ever number of growing fly shops popping up throughout the globe because trying to sell this experience is a highly competitive business! This is the crowd looking for the experience but not really making an effort to improve. As in shops that hire a dozen new kids each year to hashtag everything back to the shop and flood social media with fish selfies. Trying to sell this experience is a highly competitive business! It is important that new folks have a positive experience and learn something new on that first outing! Many schools and shops cater to the “experience” over actually really teaching what is needed in hopes of a quick sale. If you let new fly fishers leave unprepared then there is a high likelihood they will abandon the sport. Most shops and outfitters have a retail agenda for gear rather than an educational approach for improving their client. 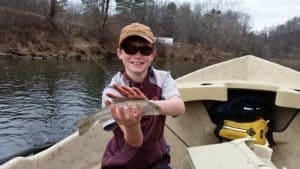 Often we get the question about a favorite fly, type of gear, leader construction, and many other facets of the sport of fly fishing. While these can be useful to someone starting out in the sport they are often off track for a positive experience on the water. The method of strike detection, line control, water type, a methodical approach to covering water, and versatility of techniques employed all equate to the presentation. The presentation is the grail for the sport of fly fishing. Results will go up when you improve overall presentation. The choice of patterns really boils down to fishing pressure and the present conditions on the water. There are many variables that enable fish to respond differently depending on stresses placed on them. There are times that the general population is in a “happy mood” where they feed with reckless abandon. The opposite of this behavior is the times when the stresses run high and they sulk. All living creatures succumb to this similar pattern of ebb and flow activity. Observation is the key to recognizing these “gem-like” moments throughout nature. For over thirty years my birdfeeders remain stocked with seed, yet the birds only want it at certain times. Pay particular attention to the fine details on the water. The best part of winter fly fishing is the solitude and feeding trout! These clues are ever present on each and every outing. They typically deviate throughout the day. Pay attention to the subtle clues as to where the fish rise and in what water type. Winter activity is actually quite easy to predict if you follow weather patterns and water temps. Even when the water temps remain in low 30’s you will typically find the most active fish in the warmest part of the day. The trout tend to pod up in large numbers over the winter months. Focus on the deeper pools to work your flies and really slow down! The fish tend to not move as far as other seasons for feeding. Make sure you are fishing your flies near the bottom in what we call the mixing zone. This is where trout tend to feed the most in the months of winter fishing.